Parts of the coast are southern Britain’s last wild frontier, a place of space and peace, unchanged by human habitation. It is the illimitable horizon and vast open beach that first dazzle the visitor to Wells-next-the-Sea: this windswept space is intoxicating. At low tide, it’s possible to imagine you’re in a desert until the tide creeps up with swift stealth. An easy two-hour stroll is to take the footpath westwards into the pine woods at the far end of the beach car park at Wells. This becomes a sheltered grassy track at the edge of the woods where you can bump into muntjac deer or watch skeins of pink-footed geese and wading birds drawn to the wet fields in winter. 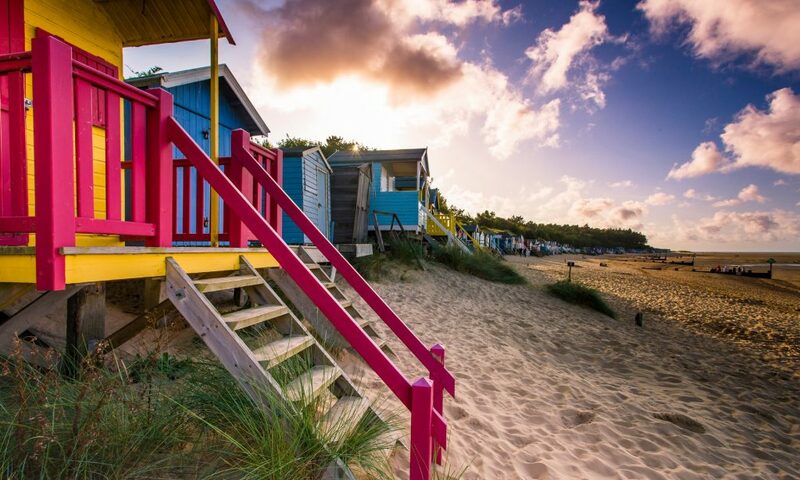 At Holkham, you can turn through the pines onto the vast beach and head back east to Wells, keeping an eye out for seals, oystercatchers, and other shoreline birds. This is a particularly beautiful walk in autumn and winter when there is more chance of encountering coastal wildlife. And even when it is busy, you can always find space and solitude on such an expanse of sand. My tip is to check the wind direction when you set out and do this walk whichever way round ensures that the wind is at your back on the beach. After a fresh-air buffeting, you may require some refreshment; follow the coast path up the channel to the port of Wells, where you’ll find the Albatros moored on the Quay. This is an atmospheric, ramshackle-in-the-right-way old boat that Dutchman Ton Brouwer used to sail over from Holland. He liked Wells so much that he stayed, and serves real ales to wash down kingsize savoury Dutch pancakes (from £5.75) and three-course lunches for £17.50. If you wrap up warm, you can sit on deck, or go below to the cosy, friendly innards of the ship, where there’ll be games, good conversation, and live music at weekends.